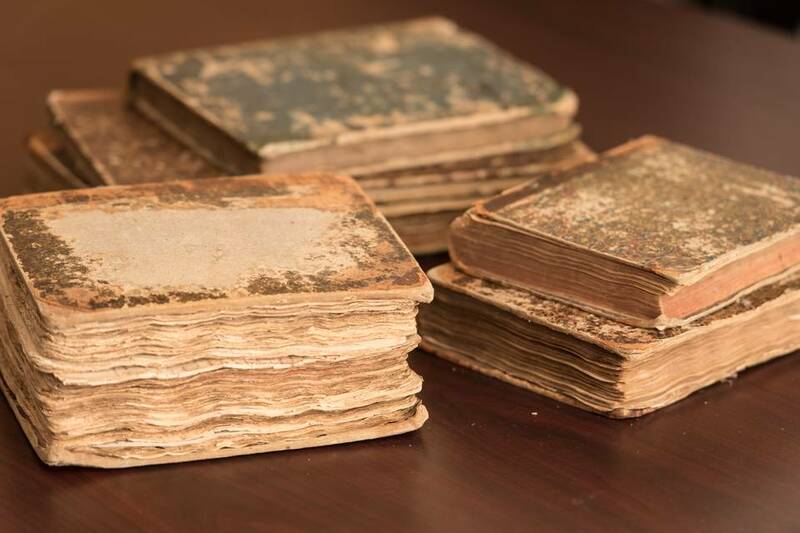 Part of a collection of rabbinical writings and commentaries, which were returned to their owners, the Auerbach family, by Yeshiva University this week. For more than 200 years, the rabbis of the Auerbach family passed along a growing collection of rabbinical writings and commentaries to their sons, in a collection that ultimately spanned as many as 30 volumes and close to 10,000 pages. By 1940, as the Nazi pressure on Jews in Berlin intensified, the volumes disappeared. This week, they went home. Yeshiva University, which acquired 23 volumes starting in 1954, transferred its collection back to Rabbi Raphael Auerbach, the eighth-generation descendant of the original author. It is currently valued at $250,000. The earliest document is dated 1701 and the collection went on to include extensive writings from Rabbi David Sinzheim, who negotiated with Napoleon for Jewish freedoms and became the first chief rabbi of France. e collection to a rabbinical seminary in Berlin for safekeeping as the Nazis gained power. In 1938, Rabbi Auerbach was forced to flee Germany after a brief imprisonment in Buchenwald, a concentration camp. In 1940, the seminary was closed and looted by the Nazis. The collection disappeared. After the manuscripts disappeared from the Berlin Seminary, “there is a gap in the story,” Rabbi Auerbach said. He theorizes they might have been taken to the U.S. by an American serviceman. His lawyers wonder if they were targeted for inclusion in a museum the Nazis planned for what they hoped would become an extinct group of people. Rabbi Auerbach plans to assemble a team to publish the manuscripts, a painstaking project given the cramped lettering on the aging pages. What is known is that the volumes resurfaced in 1954 in a bookseller’s shop on Manhattan’s Lower East Side. The proprietor approached Yeshiva University to purchase the collection, but the price—$1,500—was too steep. The manuscripts were later acquired by a private buyer and donated to the university, which has maintained them ever since. In 2013, Rabbi Auerbach reached out to two lawyers with experience in Holocaust-restitution cases, Mel Urbach and Markus Stöetzel. Rabbi Auerbach still had the receipt his father received from the Berlin Seminary in 1935 detailing the loan, making his ownership claim unusually clear for a manuscript case, they said. As part of the agreement, the university received permission to digitally publish the manuscripts on its website to facilitate access for scholars. The manuscripts were written during a tumultuous time in Jewish history. The French Revolution brought legal equality to the Jewish community—only to see those freedoms compromised several years later during the Reign of Terror, which barred religion and targeted religious leaders, said David Sorkin, a professor of Jewish European history at Yale University. “It’s a time of major upheaval,” he said. In the documents, Rabbi Sinzheim references hiding from his enemies. He was later invited by Napoleon to help evaluate whether equality for Jews was a legacy worth preserving from the revolution, historians said. 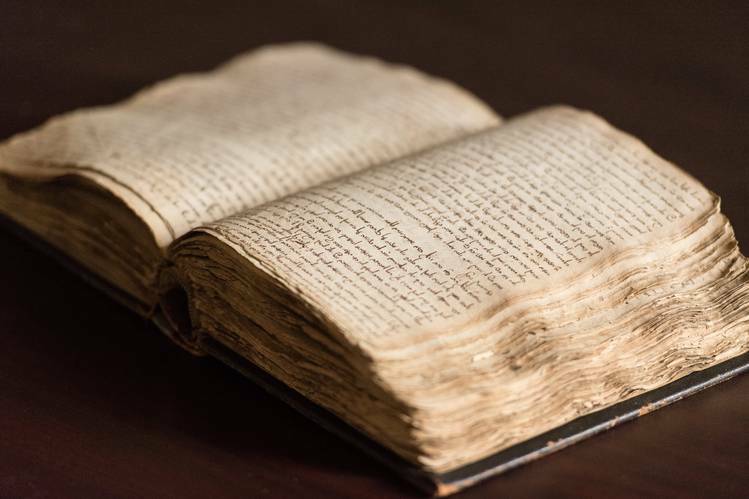 Rabbi Auerbach said he planned to assemble a team to publish the manuscripts, a painstaking project given the cramped lettering on the aging pages, which include scribbles on the back of other documents like a bar mitzvah invitation from 1752.